Trick or treat with comics!! 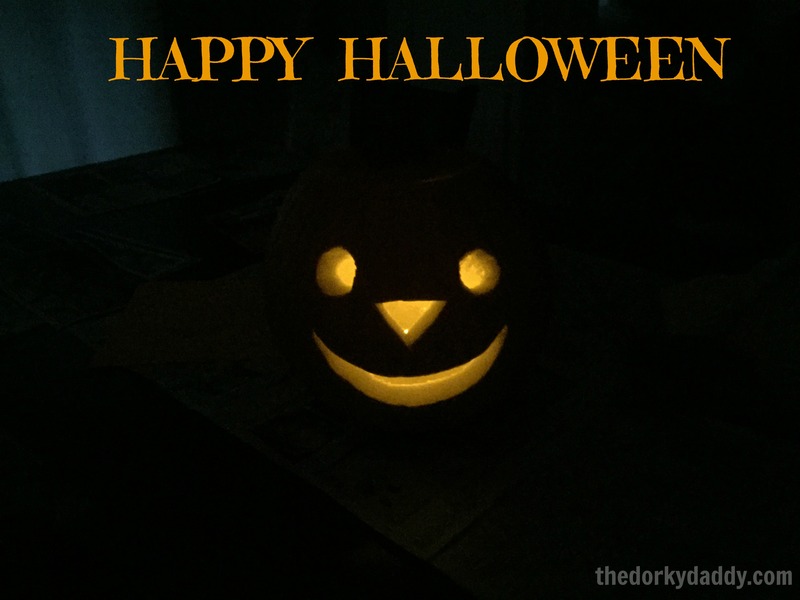 For the past several years (at least since becoming homeowners), I’ve tried to do something a little different than the standard candy giveaway on Halloween night. I’m by no means the person handing out toothbrushes or bags of pennies that I sometimes encountered when I was a kid, but I do like to break things up a little bit from the sugary sweets that kids find at so many houses on that night of ghouls. So, in what has become a bit of a tradition, I hand out comic books to kids coming to our door. Age appropriate, of course. It began with piles of coverless comics that I would buy in bulk from my local comic book store. 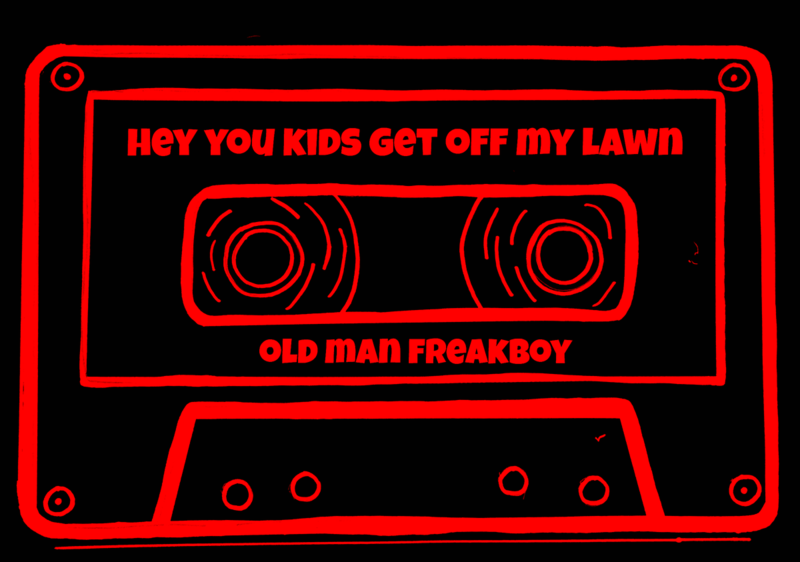 Often times they were from the 70s or 80s and had lost much value due to their lack of cover. So, the store was just looking to get them off their hands, selling them in piles for around $2-3. I couldn’t resist. They ranged from talking animals (Disney Ducks, my favorite!) to long-underwear wearing Superman or Batman (the classic derring do-gooders of yesteryear. Not the dark avengers so commonplace today). And with piles in hand, I would hand out books to kids as they made their way up our front steps. Another year I was not so lucky to find such coverless treasures, so I would raid 50 cent bins, but that could get pricey. Sometimes I’d just go through piles of comics I didn’t want anymore that I knew would take more time and effort to sell than they were worth. Then, last year, something quite fantastic happened. Comic book companies and distributors got together and following in the steps of the annual Free Comic Book Day (traditionally in May), began offering stacks of full-color mini-comics specifically to be handed out on Halloween in what they call Halloween ComicFest. Fortunately for me, my local comic shop was participating and for $5 I was able to purchase a pack of 20 comic books to hand out to the ghosts and ghouls at our door. With different titles to choose from, I spent $20 and walked away with four packs. That’s four different comic titles totaling 80 books. We were well-stocked and fortunately for me, well-received when kids would come by. Those kids who didn’t care for the comics had a choice of a small, plastic Halloween toy, like a spider-ring or vampire teeth, that my wife had the foresight to pick up. 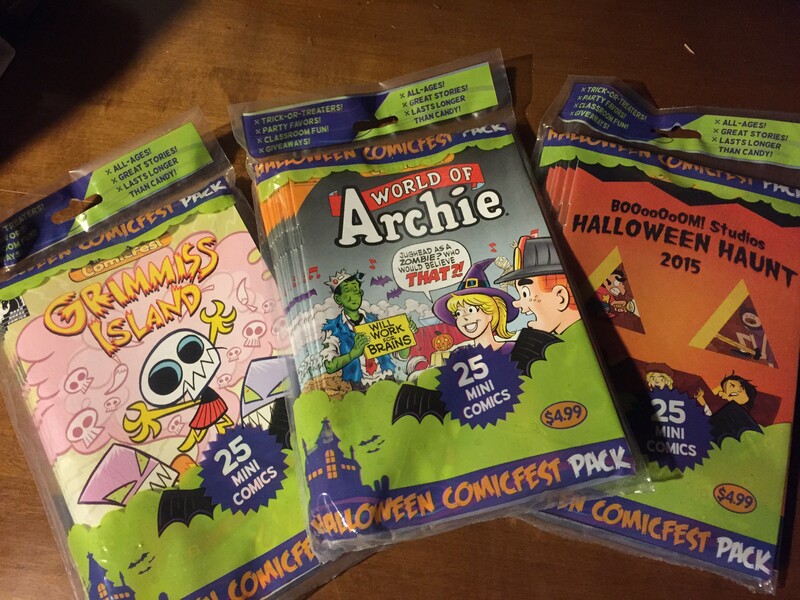 So, I followed suit this year, with three packs of comics safe for all ages – Archie, Grimmiss Island, and the Boom Studios Halloween Haunt, featuring various short comic stories that are safe for kids but can entertain adults as well. And this year there’s 25 comics in a pack, so I got more bang for my buck! And I won’t lie. When there’s a lull, I tend to sneak a few reads while I’m waiting for the kids. I’ve always wondered how dentists feel about Halloween. Back when I was anchoring the news, we would occasionally have dentists on-set once a month, and when it came to this time of year they’d often have candy-returns that they would plug, where their offices would collect candy and ship it overseas to people in the armed services. In return, kids would be put into the running for contests. But I can’t help but think that, despite pushing for moderation, there’s got to be some dentist offices filling up with kids who just go overboard with the stuff. Anyway, that was a bit of a stream of consciousness. My mind was on candy because this year, we’re trying something a little different. In years past, we’ve always given the option of candy or a comic book, culled from stacks I would accumulate throughout the year to give away. However, as time has gone on, those kiddie comics of the past that used to be so easy to find in “6 for a $1” bins, have disappeared. So, this year, imagine my delightful surprise when I walked into my local comic shop (where I’ve been going regularly since the age of about 7, when I had to stand on a footstool to peer into the back issue boxes) and found pre-packaged stacks of mini-comic books, ready to hand out and completely kid-appropriate. Coming 20 per pack, they had varying titles and topics, but all were labeled ‘all ages,” meaning, it’s okay for little ones to get them. And, I admit, I love the slogan on the package “lasts longer than candy!” You’re darn tootin’ it does. I would have went nuts with glee as a kid if I had gone to a house on Halloween and gotten a comic book instead of a mini Snickers, and in the years past when I’ve given out comics, I’ve smiled ear to ear at having some kids genuinely feel the same way, running feverishly down our sidewalk to their parents yelling “Comics!! They gave me comics!! 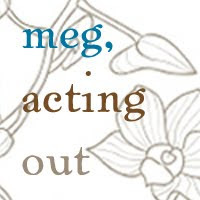 !” It’s been pretty darn cool. 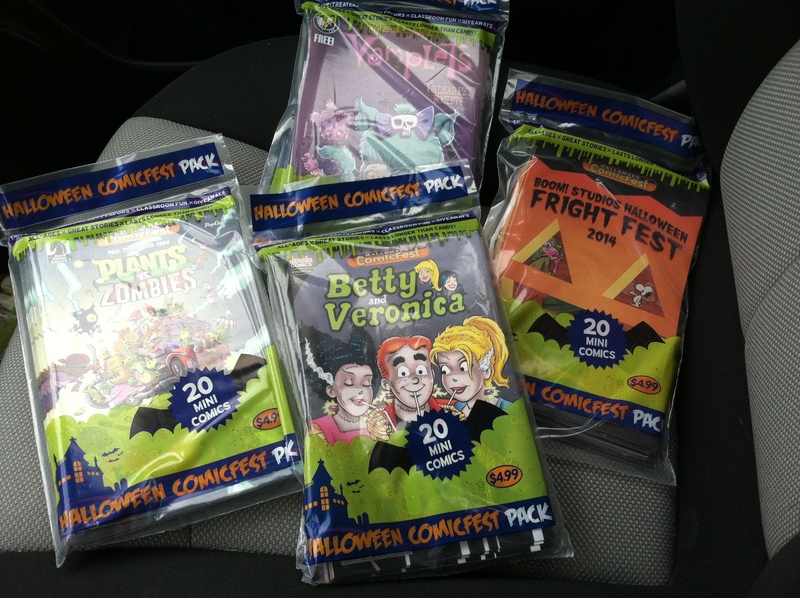 So, this year, I’m keeping up the tradition, thanks to these Halloween Comicfest comic packets, and Meg has also ordered some Halloween toys (glow in the dark vampire fangs and spider-rings) as an option as well. So, it’s a candy-free Halloween this year for us, and I don’t think that’s such a bad thing. I like the idea of finding something that’s still fun, but a little bit different for the kids. They are items that can be enjoyed long after the wrapper is taken off and at the same time, safe for everyone, even kids with allergies or diabetes, as has been very popular with the Teal pumpkin initiative as of late. 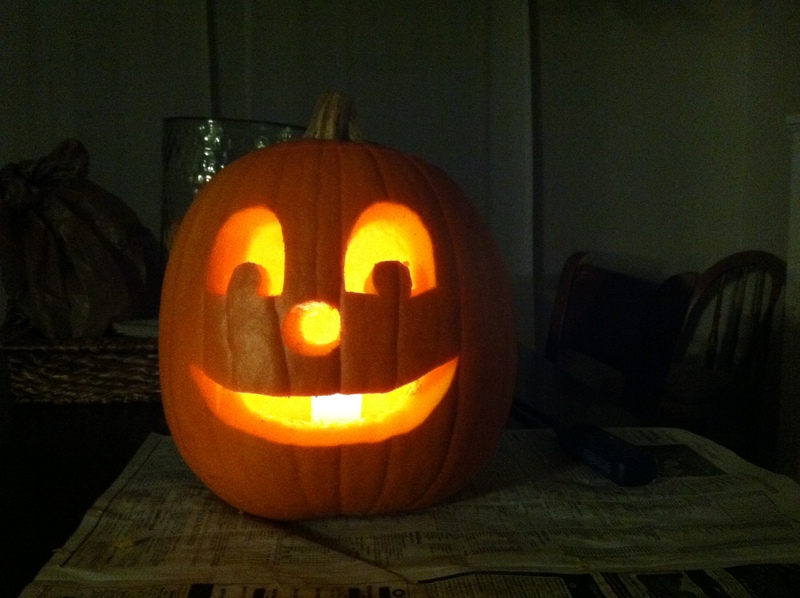 With Halloween fast-approaching, we carved a pumpkin this weekend. 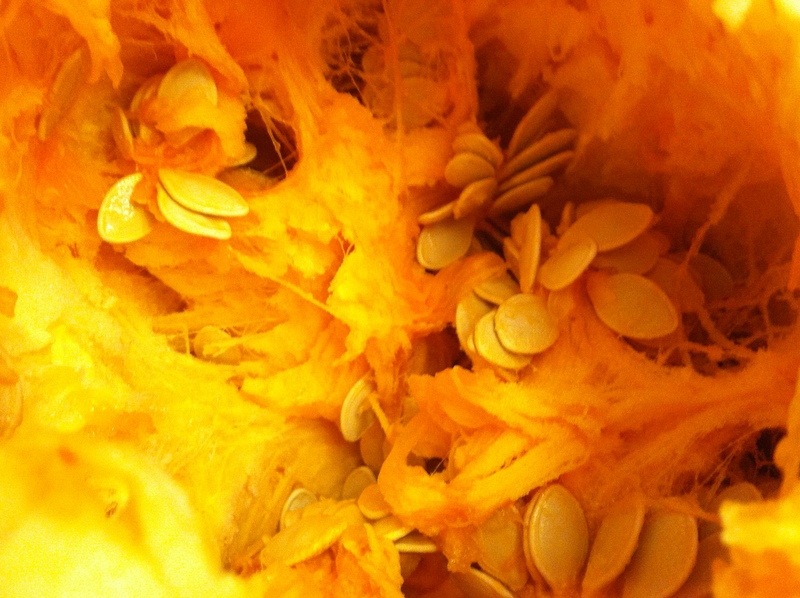 While it may not be rocket science, I want to offer one bit of advice that I found made our whole process incredibly easier – if your child is taking an afternoon nap, use that nap-time to get all the gutting of your pumpkin out of the way. It may not seem like much, because it’s such a small, simple thing, but it can make a world of difference if you’re little one is not quite at the age of carving themselves, but still wants to take part. 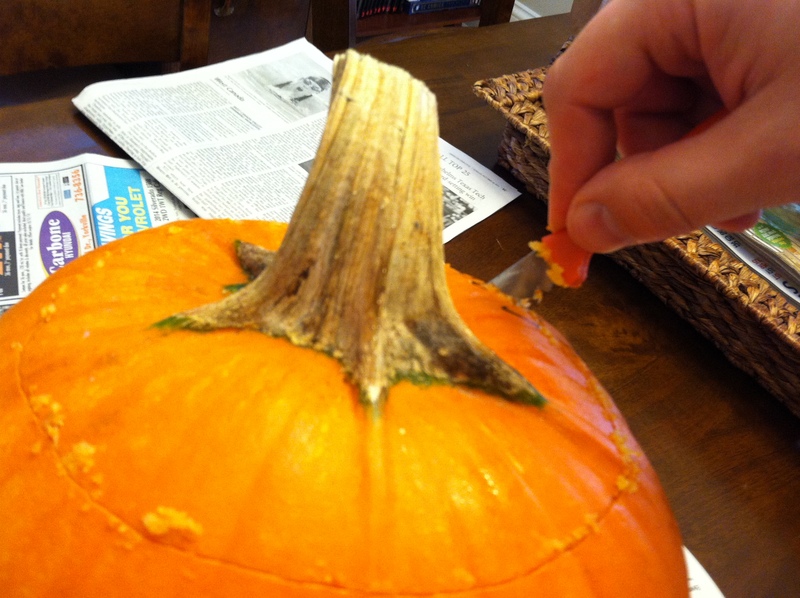 I’ve heard a lot lately about how pumpkin’s last longer if you carve them from the bottom, but I went for the traditional method of cutting around the stem and pulling it out to make my way inside. 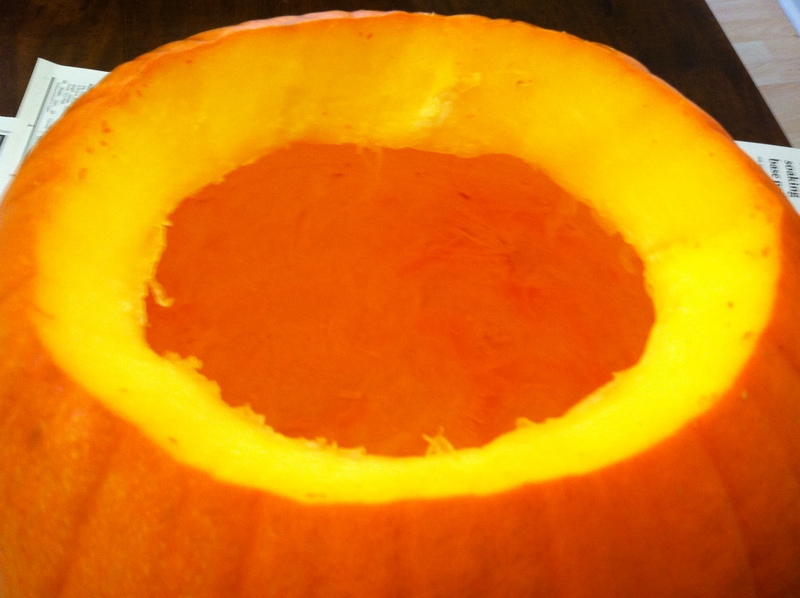 Then, using the carving knife and an ice cream scoops, I gutted all of those seeds and pumpkin-innards until we were left with one big, hollow pumpkin. 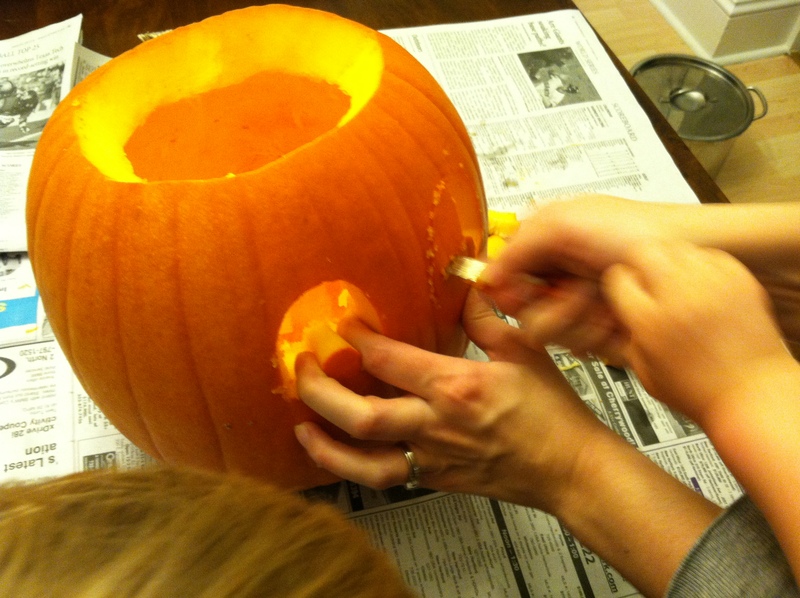 This made things so incredibly easy when the little guy woke up from his nap and wanted to carve his pumpkin after dinner. 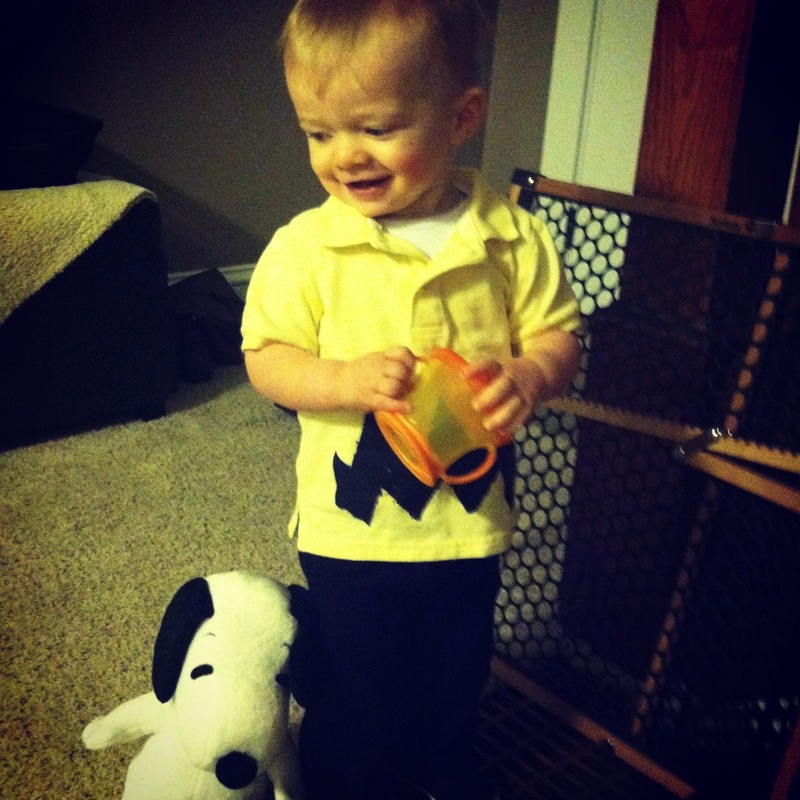 We weren’t trying to juggle the circus of a 2-year-old wanting to pull everything out himself, getting it everywhere, or just losing interest. 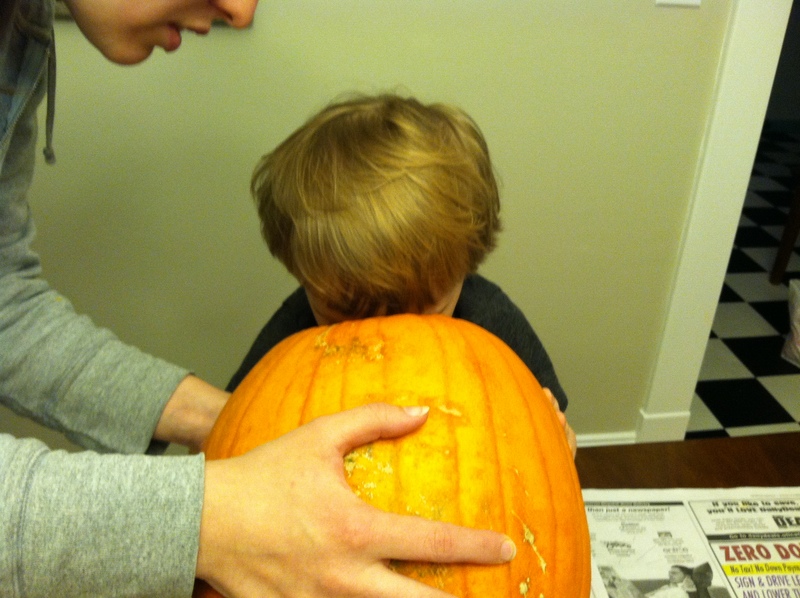 With just the hollow pumpkin, ready to go, we simply put him at the table (with his little step stool) and he guided us through the process of what he wanted his pumpkin to look like, from the eyes, to the shape of the nose and what kind of mouth he wanted. (“Happy pumpkin!” was pretty much the description he gave us to work from for the mouth). 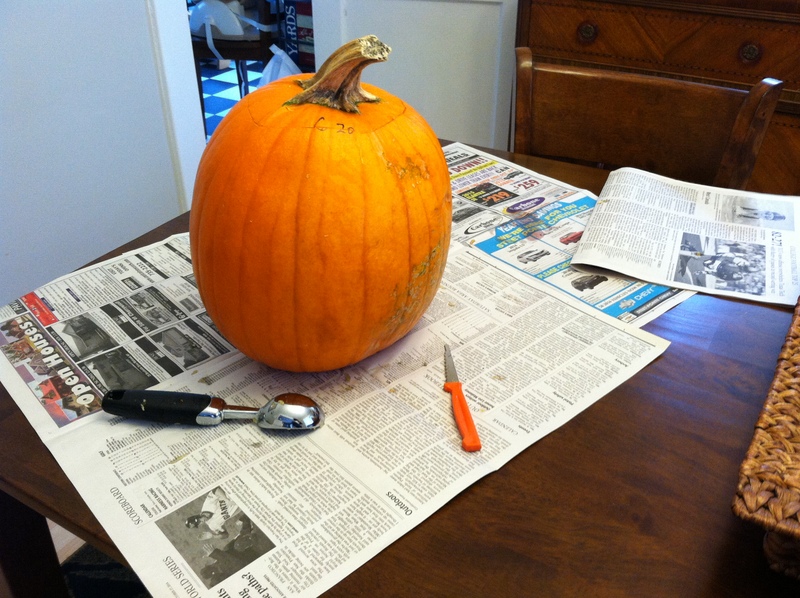 So, here we have it – our Little Carving Supervisor’s Pumpkin, made all the easier by getting the prep out-of-the-way during nap-time.